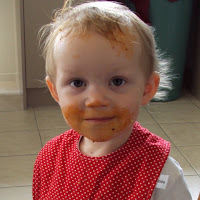 spaghetti facial mask and tomato sauce deep-conditioning cream! 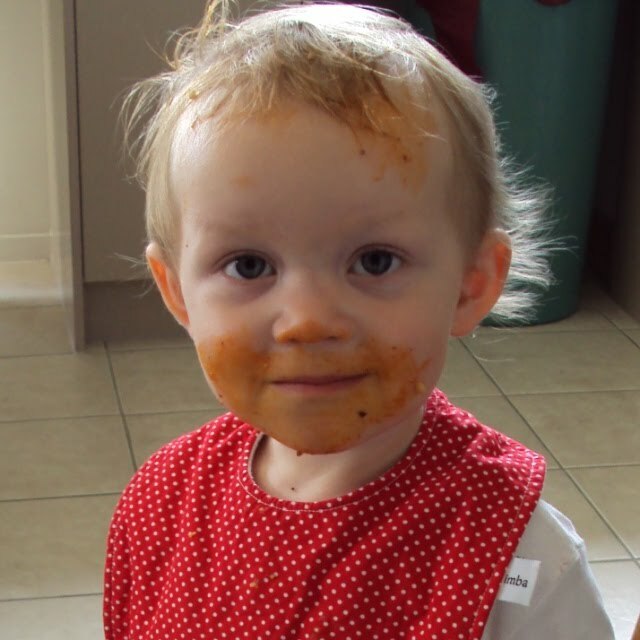 Holland is not yet old enough to eat spaghetti unsupervised! Needless to say, bath time came early today!